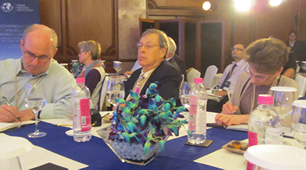 The Academy’s General Assembly at the Taj Mahal Hotel in New Delhi on November 9-11, 2011 is a landmark event in the recent history of the Academy. All those who were able to attend will affirm that the creative energy and enthusiasm which marked the event signal the Academy’s definitive emergence from the challenges of the past year and its readiness to embark on a new era of dynamism and achievement. 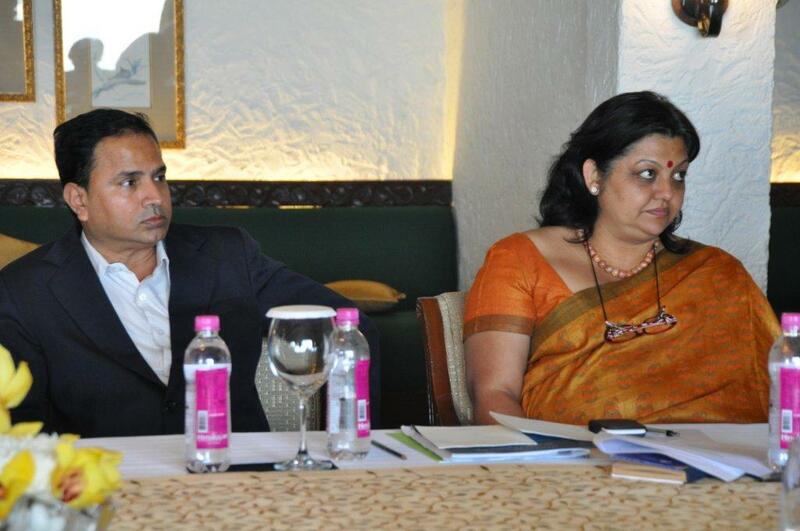 In all, about 30 Fellows actively participated in the event. The GA was a resounding success in another respect as well. It confirmed the value of our new strategy of working in closer collaboration with like-minded organizations such as the Club of Rome and The Mother's Service Society (India). As Trustee Orio Giarini who was present at the birth of the Club reminds us, our links with the Club date back decades.Two of our past Presidents, Harlan Cleveland and Carl-Göran Hedén, came from the Club. Today about 35 Fellows, including four of our current Trustees, are also members of the Club. Combining our GA with the Club’s annual conference proved an excellent way to expand and enrich the intellectual exchange for both organizations. 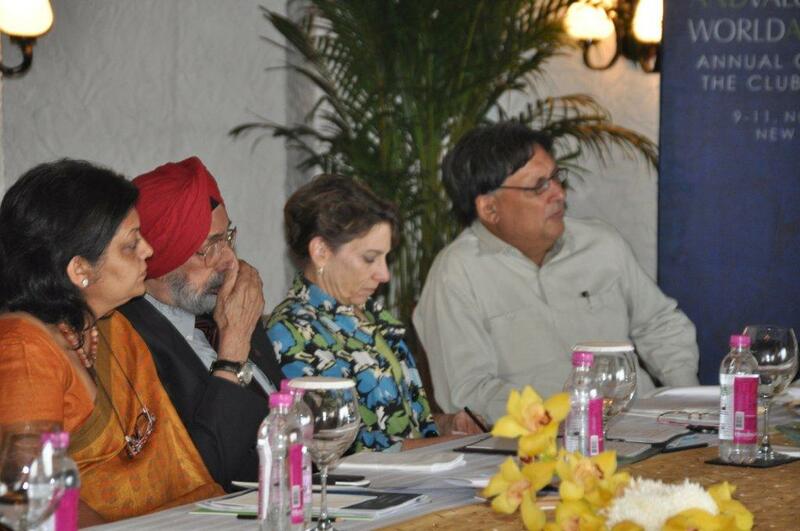 In addition, we found time in Delhi to review the Academy’s recent program initiatives on abolition of nuclear weapons, the linkage between rising expectations and social unrest, new economic theory, the global employment challenge, and the evolution of law and social development. More importantly, we explored the Academy’s new program framework which will serve as a guide for the formulation of new programming initiatives. You’ll find reports on each of these projects in the website. Interesting proposals were discussed for new activities and events in 2012, including an invitation by Momir Ðurović of the Montenegrin Academy to co-organize an international conference “Humanities and Contemporary World” in Podgorica; another by the Inter-University Centre in Dubrovnik to co-organize an international conference on “Employment, Migration and Human Security - the Role and Responsibility of Higher Education”; and a proposal by Gunter Pauli to undertake research on the potential of the Blue Economy to generate ecologically-friendly, employment-intensive commercial opportunities in connection with an upcoming conference in Berlin. In addition, we plan to release the first of a series of WAAS discussion papers early next year. The spread of democratic governance and human rights, the rapid economic growth and growing disparities between rich and poor, and the explosive spread of communications technologies to the masses have spawned a silent revolution that is rapidly reshaping global society – what former WAAS President Harlan Cleveland termed “a revolution in rising expectation”. This revolution releases enormous social energy which can lead to greater dynamism and more rapid progress. But what happens when the energies released find no positive outlet for constructive expression? What happens when the rising expectations of youth enter a world without sufficient employment opportunities and when the poor become passive but firsthand witnesses through the mass media to the lavish life styles of the consumer classes? 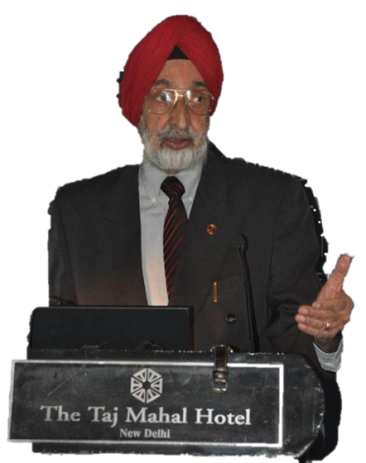 These are questions which Jasjit Singh has framed for study in the WAAS project on “Revolution in Human Affairs”, launched last February at a seminar in Delhi and presented for further exploration at the Delhi GA this November. His startling and timely conclusion is that when these rising expectations are frustrated and prevented from positive expression, they build up as tension beneath the surface until they gain sufficient pressure to explode into action, as evidenced by the Arab Spring, the Occupy Wall Street Movement, the rise of fundamentalism, and the spread of Naxalite violence in the poorer rural parts of India. Read more in Cadmus, “Revolution in Human Affairs: The Root of Societal Violence” by Jasjit Singh and “Rising Expectations, Social Unrest & Development” by Ashok Natarajan. Abolition of nuclear weapons (NWs) is a strategic objective of the Academy. In his presentation to the General Assembly, Winston Nagan delineated the role of law in achieving this goal. The perspective of the professional legal culture today is not sufficient to challenge conventional political wisdom about human rights and global security. International law is not just a mechanical reading of preexisting laws. It is also about the affirmation of values which are its very foundation. NWs defy the fundamental principle of humanitarian law. 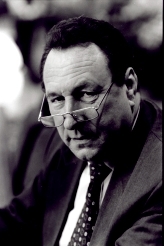 In his landmark opinion in 1996, Judge C.G. Weeramantry of the International Court of Justice rejected the legality of any usage of NWs whatsoever. Winston poses the critical question: How effective can the structure and the processes of legal discourse be in influencing the critical constituencies that still affirm an important role for NWs and delivery systems in the management of global security priorities? Though nations cite military necessity as the rationale for the usage of NWs, their justification is dubious. The serious threats posed by the use of NWs can never be confined to a single nation-state or to purely military objectives. They invariably target large civilian population centers. The consequences of their use are likely to be transnational. Therefore, any usage must be regarded as a crime against humanity. Now is the time for the ICJ to unequivocally declarethe illegality of these weapons. The disaster at Fukushima, Japan, raises parallel questions about the threat presented by nuclear energy plants. The fallout from a nuclear accident could well cross national boundaries and affect civilian population centers in other countries, violating traditional notions of national sovereignty and raising fundamental questions regarding the sovereign rights of humanity as a whole. The real risks of nuclear accidents and potential cost of remediation make nuclear power the costliest form of energy. These critical issues justify a reappraisal of alternative energy sources and the benefits of closing existing nuclear plants in other countries, as Germany and Switzerland have recently announced. The relationship between law and social development is complex and poorly understood. Law plays a crucial role in the development of society, and social development drives the evolution of law. 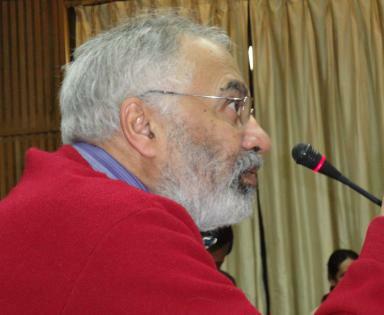 In his presentation at the Delhi General Assembly, Håkan Hyden stressed that a theory of law is essential to comprehend the connection between the development of law, the development of society, and the phases through which each of them passes. There is a pressing need for research on this relationship. 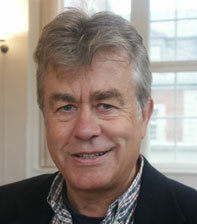 Social development, according to Håkan, is a movement from the collective to the individual orientation. This expresses in law as a shift in focus from externally imposed authority to self-regulation, which increases the significance of contract as a legal instrument. The social movement unfolds as a progression of waves, which can be depicted as a series of “S curves”. Each stage of transition is characterized by contradictions that appear between the old and the new forms of organization, leading to rising tensions and the transformation of energies. In contrast, Håkan depicts the development of law as an interplay between opposing pairs of forces, static and dynamic elements, giving rise to a locomotive effect. Differences in speed and rhythm between the social and legal processes give rise to problems and incongruities, hindering the advance of society until the legal framework gradually evolves in accommodation to the new cycle of social development. See Håkan’s full paper for details. The principles and practice of law are a composite of multiple forces – the force of past precedent, established custom, and accepted tradition; the force of present political, economic and social power; and the force of emerging aspirations and ideas striving for acceptance. At any point in time, law consists of a more or less precarious balance between the past and the future. It is both a condition and a consequence of social development. As a social organization, law is a mechanism for channeling social energies. It reflects the prevailing values of society and the precise points at which there is contention between conflicting values. Thus, legal choices go to determine what to conserve, what to bury, what to affirm and what to enhance. Since values are changing rapidly in the modern era, social change leads to changes in the interpretation and application of law over time. The governing principles of law are progressively shifting from a conflict paradigm of naked coercion to the exercise of authorized social power influenced by higher values. The early ‘law’ of humanity was the law of the jungle, survival of the fittest, might is right. The stronger imposed their will on the weaker, reinforced by force of arms or popular support. Hereditary rule became prevalent as a means to ease the transition from one leader to the next, avoiding frequent challenges to legitimacy and wars of succession. Law evolved as an instrument to manage the politics of conflict, to replace violence with understandings reflecting authorized basic decisions about social order. Coercive rule based on force of arms was progressively replaced by notions of authority based on a written text and backed by the implicit threat of coercion. Money too played a central role in the transition from violence to social order. As governance and law evolved, coercion gave way to social custom, conscious legislation and jurisprudence as the dominant means of managing conflict and resolving disputes. This transitionfrom violence to law continues today in both national and international contexts. Law involves an implicit acceptance and internalization of authority by the collective, and establishes a major expectation about the shaping and sharing of human values. Unless the community accepts the authority of its rulers and the laws they pronounce, the rulers may be compelled to resort to coercion to maintain themselves. Thus, the ultimate determinant of law will be the major expectations that the community holds about the exercise of authority and control in the common interest. The individual plays a key role in this process. This has profound implications for the evolution of both national and international law and emerging expectations of justice and value. The search for a new rule of law paradigm must be driven by an approach which integrates disparate discourses, and incorporates scientific views of change and a global view of justice, fairness and human dignity. 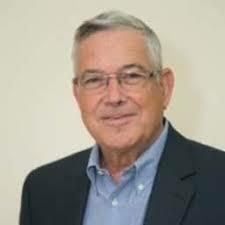 The work of former WAAS President Lasswell and Fellow McDougal is the closest approach that is compatible with the fundamental values and interdisciplinary orientation of the World Academy and can serve as a useful starting point for a WAAS project. The question of value is central to the formulation of new economic theory. In his presentation at the GA, Orio Giarini called for a radical reassessment of economic value based on the real purpose of economy, which is maximizing human welfare, not maximizing economic growth or monetary wealth. 1. The confusion between flow and stock blinds us to the fact that increasing economic activity can be and often is achieved by consuming non-renewable resources that reduce real wealth even as they increase economic activity. 2. Measures of economic growth neglect the concept of negative value. Growth may result in greater destruction of real wealth than it creates. Are higher levels of military spending and environmental remediation really indications of rising human welfare? 3. Real economic value has to take into account the utilization value of goods and services over time. In a modern service economy, true cost and value can no longer be fully defined at the point of sale. R&D expenditure, warranty and liability costs may occur years before or after the sale transaction. Many services such as health care are delivery systems that we invest in to provide for on-going service and security over time, and cannot be properly valued at the time of sale. 4. Important aspects of human welfare do not fall within the monetarized economy, such as home care for children and the elderly. We now spend $60 billion a year on bottled water which formerly was a virtually free commodity. The monetarization of drinking water is at least partially a result of declining quality of life, not progress. More profoundly, the evolution from the industrial to the modern service economy has led to a paradox of uncertainty. Uncertainty is the source of doubt and insecurity which human activity strives to minimize. At the same time it is a rich creative cauldron of untapped potentials from which new wealth is constantly emerging in the form of new aspirations, products, services, technologies, organizations, etc. The key to future prosperity is to learn how to tap the creative value of uncertainty. For a detailed discussion of these issues, see “The Evolution of Wealth & Human Security” in Cadmus Issue 3. The world needs a paradigm shift in economics similar to the one physics experienced a century ago, when quantum mechanics and relativity theory were formulated to address phenomena not explainable by Newtonian mechanics. This was the central thesis of Roberto Peccei in his presentation on November 11. The emergence of a paradigm change in Physics came from understanding the limitations of the existing theories, and then inventing new concepts appropriate for these new regimes. A similar reassessment is needed in economics today. The central issue facing the world today is that unbridled population and economic growth are untenable in a finite world. This calls for development of legal and social instruments which will provide solutions to our present predicament outside of present economic theory. New economic theory is needed based on sustainability rather than growth. Economics is still based on many of the concepts formulated in the time of Adam Smith which were applicable to the transition from an agrarian to an industrial economy. We need new theory that incorporates concepts of biocapacity and sustainability. 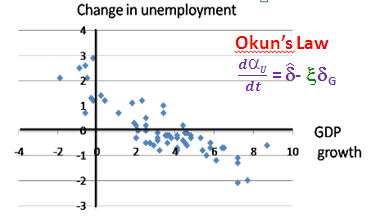 Okun’s law describing the relationship between growth and employment is really a tautology, rather than a valid theory. New theory must also address the true role and purpose of financial markets to support human well-being, rather than speculative activities driven by greed, and promote investment in the real economy, creation of new jobs and equitable distribution of wealth. 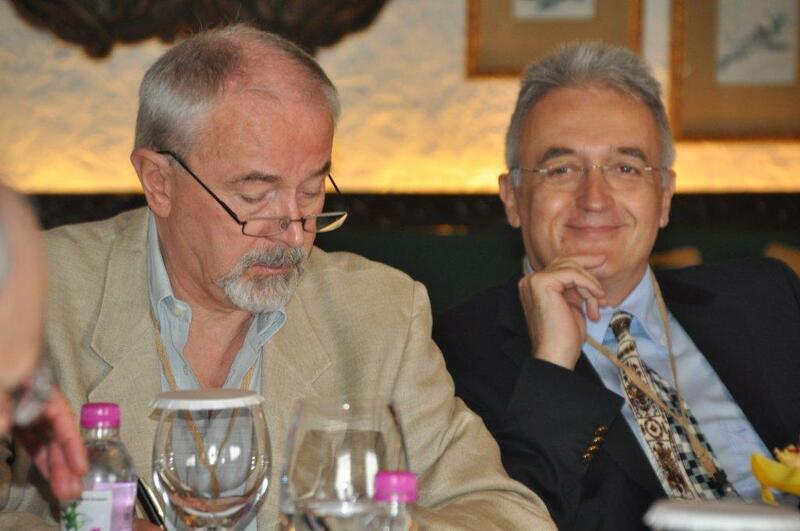 To see Roberto Peccei’s Delhi presentation click here. 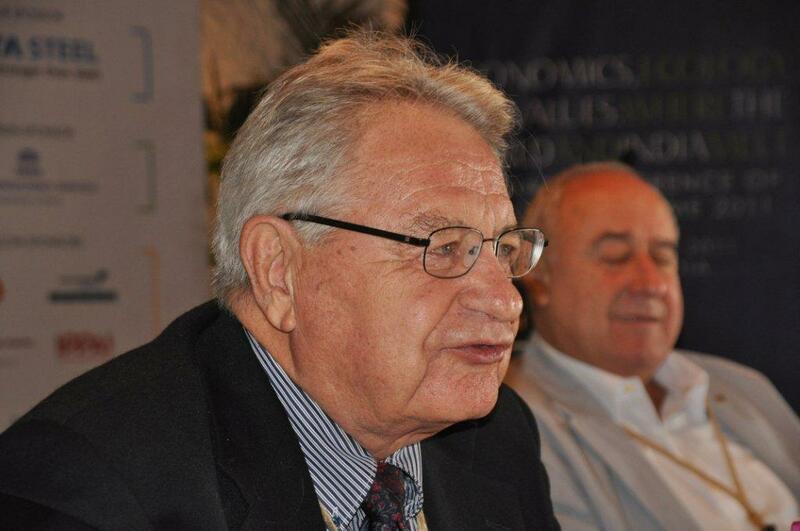 See his article on “Rethinking Growth: The Need for a New Economics” in Cadmus Issue 3. Employment is the economic equivalent of the right to vote in democracy. Without access to employment opportunities, citizensare deprived of the essential condition for survival and well-being. This was one conclusion of the Academy’s highly successful, multidisciplinary e-conference on the Global Employment Challenge which examined the economic, political, legal, social, technological, ecological and psychological factors impacting on job creation. After presenting the conclusions of the GEC at a Club of Rome conference in Bern late last year, WAAS has been exploring fresh insights into a comprehensive social theory of employment in collaboration with Ian Johnson, the Club’s Secretary General. Their conclusions have been published as a series of articles in recent issues of Cadmus by Fellows Winston Nagan, Ashok Natarajan, Garry Jacobs, Ivo Šlaus, and Patrick Liedtke. In addition, WAAS has had discussions with the European Commission and ILO to explore the potential for collaboration to evolve fresh strategies to address this crucial issue. A remarkable fact emerged during a session on “Creating Sustainable Work” at the Delhi GA, in which Orio Giarini, Ivo and Garry were speakers. In spite of the challenges posed by the population explosion, automation and globalization, employment growth has, over the past six decades, outpaced rapid population growth. This fact suggests that the short term gloom generated by the recent financial crisis and global recession need not result in a perpetual job crisis, provided countries act decisively to remove the destabilizing and destructive impact of unregulated financial speculation. Introduction of a Tobin Tax on international financial transfers can be an effective means to redirect a portion of the 216 trillion dollars in global financial assets into productive investments in the real economy. Three conclusions seem inescapable. First, high levels of unemployment, especially youth unemployment, are incompatible with national and global peace and social stability. Second, the social costs of high levels of unemployment in terms of rising levels of welfare expenditure, crime, violence and terrorism are greater than investments needed to remove this scourge. Third, a permanent solution requires recognition of employment as a fundamental human right and the restructuring of economic policies to maximize human welfare. Employment has been traditionally regarded as a problem that falls within the purview and sovereignty of national governments. Like the dangers of nuclear weapons proliferation, the international financial crisis and global warming, recent events highlight the fact that employment now represents a global challenge which can only be fully understood and effectively addressed by a global approach. Over the past six months WAAS and the Club of Rome have conducted numerous discussions to formulate the outlines of a Global Theory and Model of Employment. At a meeting in Dubrovnik in September, Ivo Šlaus, Ian Johnson, Orio Giarini and Garry Jacobs identified more than 100 significant factors and trends impacting on global employment markets, including population growth, energy and ecology, immigration, globalization of trade and financial markets, rising levels of education, faster technology dissemination, law and human rights, social organization and changing social attitudes. At the GA, Garry presented an overview of a proposed project to develop a global theory and model of employment in collaboration with organizations such as the Club and ILO. Ivo Šlaus emphasized that the program framework also includes a comprehensive approach to what are often perceived as distinct and separate problems as shown in figure 2. 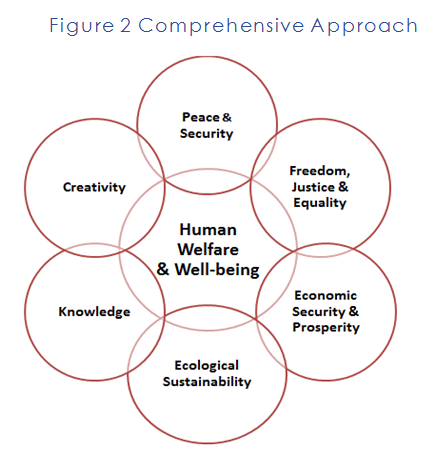 This approach is illustrated by the Academy’s project on “Revolution in Human Affairs”, which focuses on the linkage between peace, security, democratic freedom, justice, equality, economic prosperity, crime, and terrorism. Recognition that social reality is an integral and organic whole composed of multiple dimensions or aspects naturally leads us to examine each issue from a wide range of different disciplinary frameworks in an effort to capture insights into the total reality of which each is a vital component, as depicted in Figure 3. To illustrate, Winston Nagan pointed out how the Academy’s study of employment incorporated legal, economic, social, political, psychological, demographic, technological, ecological and cultural factors. The framework broadly organizes global issues concerning governance and development under a number of inter-related trust areas: Effective Democracy, Global Security, Ecological Resilience, Development, Educational Advancement, Equitable Prosperity and Cultural Enrichment. 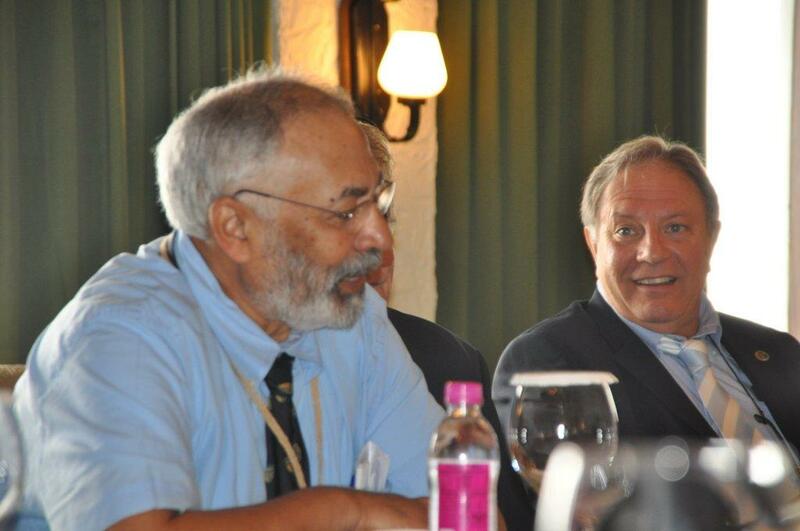 This Program Framework was presented and discussed at the World Academy’s Plenum in New Delhi Nov 11, 2011. The WAAS Program Framework is based on the view that each of the disciplines of art, science and humanities has a valid contribution to a complete perspective on any issue. Reliable knowing is inclusive and reconciles diverse perspectives. That is with regard to different disciplines. The same is true of different nations and cultures. Each brings a unique perspective to the understanding of knowledge and solution to problems. For instance, one could argue that Greece gave rise to pure intellectual reflections on ethics, society and nature. Rome gave birth to modern conceptions of law and social organization. The scientific outlook was born in Europe and most of the profound theoretical discoveries were made by Europeans. America’s unique contribution has been the practical translation of scientific knowledge into technology and organization expressing through a spirit of individualism (e.g. Ford, Apple and Amazon). Japan has excelled in evolving knowledge that is founded on values of social harmony, beauty and honor. China has developed intellect and administration to an extraordinary degree based on communal values. 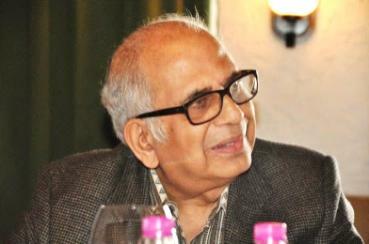 India’s focus has been on the inner law and essential reality governing processes, rather than on external mechanisms. It applies analogy, metaphor and intuition to overcome the limitations of logical thinking. Some of these examples may be more appropriate than others in bringing out differences in perspective. The scope for differentiating perspectives is not limited to continent-wide generalizations. A series of books by a Spanish diplomat written early in the 20th century elegantly bring out the differences in thought and perspective of England, France, Germany, Spain, etc. Churchill said that the British have an anathema for analyzing anything from first principles, an approach more characteristic of the French who give greater weight to pure ideas. Such variations exist in other regions as well. 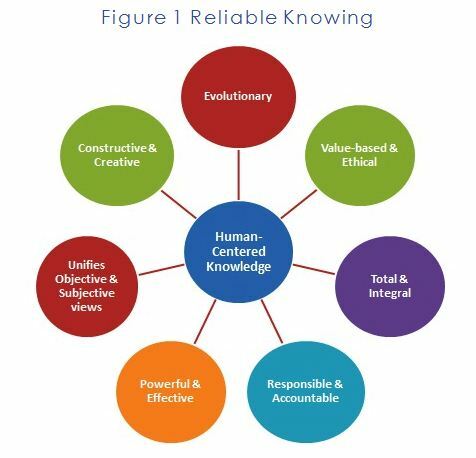 Instead of arguing who is right, it is rational to base ourselves on the premise that each of these perspectives represents a valid aspect of knowledge. A comprehensive way of understanding and acting would need to take into account many or all of them. The best solution to humanity’s problems and to arriving at a global consensus would be founded on a wider conception of knowing than any one country or region affirms today. An approach based on this premise could have immense practical value for the evolution of global governance. We would like to propose that WAAS organize a project to identify the varied ways of knowing and different conceptions of what constitutes knowledge according to different cultural traditions and attempt a synthesis of the world’s perspectives. This might be a first concrete and original step toward evolving an informal World University as our founders envisioned in the Academy’s charter, based on a truly global conception of reliable knowing. We might start publishing articles on different cultural perspectives of knowing in Cadmus, organize a conference (Library of Alexandria would be the perfect place) or a series of conferences and e-conferences, and ultimately publish a book presenting not only diverse views but an attempt at a Synthesis of Knowing. This project ties in closely with the project on Limits to Rationality and would embrace all fields of art, science and humanities. It could unite the work of many Fellows and attract the interest of other individuals and organizations. Solving and overcoming the numerous problems and threats we face today require understanding, and as Blaise Pascal wrote, we understand both with our brain and our heart. Understanding and creating are two centers of human activity. Science and art are examples of the two organized systems of research, understanding and creativity. Our Academy – World Academy of Art and Science− strives for global welfare by integrating art and science. Global welfare is our goal; art and science, our tools. Weisskopf claimed that science progressed when instead of asking the most general questions, it focused on narrow, seemingly simple questions. That was the root of many scientific disciplines. 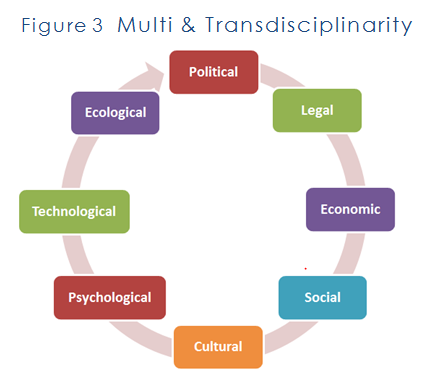 Today, most of the problems and threats we face require multidisciplinary, inter-disciplinary and trans-disciplinary approaches. The world needs unity of science – consilience, as E.O. Wilson entitled his book. Many national and regional academies are organized in sections of scientific/scholarly disciplines. World Academy focuses on the problems that the world faces: peace, governance, ecology, new economic theory, global employment and human capital. Their solutions require ideas, initiatives, proposals, projects, policy-making, decision making and actions. World Academy encompasses researchers, artists, business leaders, policy and decision-makers from many countries and cultures. 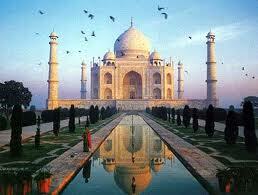 Every culture has contributed to art and science, as reflected in our motto Unity in Diversity. Our Academy endeavors to achieve sustainable global welfare and equitable development based on programs enriched by cultural diversity, by approaches integrating scientific and artistic perspectives and, most importantly, by wisdom cumulatively augmented through generations. Creation of such programs is clearly a bottom-up approach, but also a cumulative approach where leadership in thought generated from a variety of cultures leads to a united action for sustainable global welfare. In their landmark report, Limits to Growth, the Club of Rome awakened global public opinion to the environmental hazards and constraints to uncontrolled economic growth and consumerism. Equally urgent and important are the threats and barriers to peace that threaten to undermine the remarkable gains of the last half century. Traditional threats have faded, while new ones have emerged that are even more insidious and difficult to contain. The Cold War is over, but the 23,000 remaining armed nuclear warheads represent an incentive for nuclear proliferation, a tempting target for terrorists, and an intractable barrier to democratization of the UN. Rising levels of economic inequality destabilize economies, spread disenchantment and generate angry resentment that could explode into violence anywhere anytime. Rising levels of unemployment are associated with rising levels of social unrest, crime, drug traffic, religious fundamentalism, and are a source of new recruits for terrorist outfits. Widespread corruption in politics, public administration and the judiciary undermines democratic institutions and subverts efforts to address the basic human needs of the masses. Low levels and inadequate quality of education deprive hundreds of millions of young people of the opportunity for social advancement. The absence of basic human rights, both political and economic, absence of basic needs such as water and power, the absence of legal and judicial protection – these and numerous other factors – pose serious barriers to the peaceful development of global society. The World Academy can make a significant contribution to global society by launching a project to identify and examine these common threats to humanity and to evolve the outlines of a global master plan for banishing the serious barriers to global peace. I invite interested Fellows to share their ideas and participate in a WAAS project to produce a report on this important topic. Contact us here. 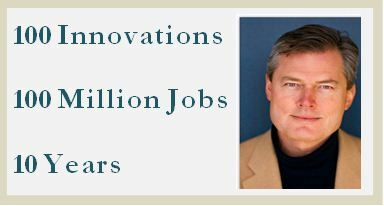 As discussed in my presentation and webcast for the WAAS Global Employment Challenge, The Blue Economy, a report to the Report to the Club of Rome, offers 100 strategies for generating 100 million ecologically-friendly job opportunities in 10 years. In September 2012, The Blue Economy team will host in Berlin the “Blue Economy Summit of Entrepreneurs”. We are inviting 100 innovators together with about 1,000 entrepreneurs who have already taken up one or more of these projects to translate into local initiatives around the world. This is a unique opportunity to connect scientific research to concrete projects and immediate challenges faced by the world (water, food, health, housing, energy, jobs and education with ethics). WAAS can play an active role in promoting practical solutions to employment and ecological challenges by conducting a survey to identify obstacles to bringing these innovative business models to the market, the government action needed, the jobs generated, the skills and the education programs required, the type of businesses that have the greatest potential, jobs which are based on the local economy, jobs which rely on the globalized economy, etc. The experience of WAAS in mobilizing its Fellows to vote in the referenda and elections could be applied for a significant scientific research project. I am pleased to see WAAS is concerned with creating impact on policy makers at the highest level, as indicated by your meeting with President Barroso of the European Commission and the interesting articles in the latest issue of CADMUS. For WAAS, communication with policy makers is extremely important. Congratulations to WAAS/Club of Rome/Pugwash as they step into a new era! As the world looks today, I am convinced a federation of some of the best research institutions in “all” disciplines combined with the operational capacities of corporations has great opportunities, especially if electronic communications can be used for the evolution of such a network. Disarmament is and remains one of the big problems. The financial and economic system poses another major problem whose consequences go far beyond the economic and financial domain and might even threaten democracy. Economy today is completely based on growth. But everybody who knows a little bit of mathematics is aware that an ever-growing function (an exponential function) diverges and leads to a catastrophe. In the long run only a society with a stable economy can survive, avoiding periodic big catastrophes. It would be useful to consider the possibility of an economic system with zero- growth. In the last half century a new range of sciences has emerged. I suggest that WAAS either contribute to or reflect on new scientific methodologies to better understand human society and its evolution. Page 2 in this document has a graphic from Wikipedia with my highlights in blue. In principle, the new sciences are very interesting to look at. 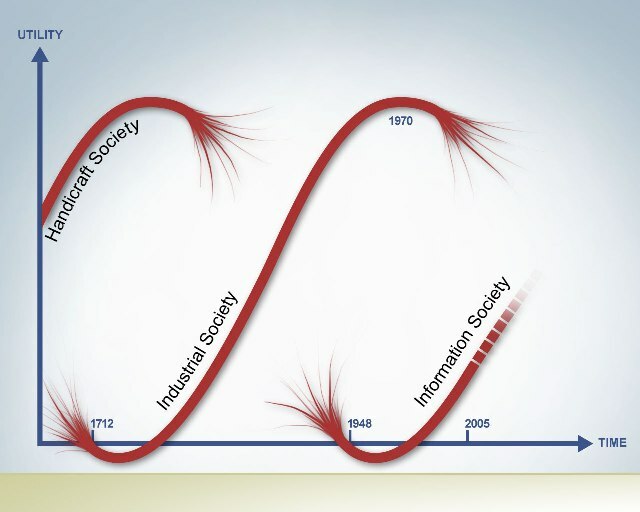 The science of Dynamics Systems Theory was applied in the first report to Club of Rome (1972); the blue full lines in the graphic refer to a project in start-up phase, and to the application of a new Science of Networks and a Science of Complexity to issues of sustainability (2011). Sustainability is a very complex matter. Many initiatives in climate change and ecology lack coherence and long term vision. Political decision-making processes are hindered by the absence of a ‘grand unified theory’ on sustainability for human civilization. These new sciences offer new approaches for addressing vital concerns. Another failure like the Copenhagen Climate Summit must be avoided in future. The impact of science and technology on the Internet and related innovations will have a dramatic influence on society and on how knowledge will be transmitted. Systems thinking as mentioned in the chart (see document), can also be applied to address problems related to new economy and social evolution and may inspire innovative thinking patterns. The following themes contributed by Fellows are intended to stimulate thought & discussion on possible new WAAS projects. 1. Law & Social Development: Law, freedom and human rights play a fundamental role in the process of social development. An exploration of the theory of law and its relationship to the theory of social development may help us identify the means to leverage the power of law to accelerate development nationally and globally. 2. Values, Human Rights & Development: Values and human rights are a driving force for social development. They are not just utopian ideals. Values are the quintessence of society’s acquired knowledge about survival and sustained human accomplishment. Furthering the evolution of values is a powerful means to address global problems. 3. Broadening the conception of sovereignty: Traditional notions of national sovereignty ignore the sovereign rights of the individual and of humanity as a whole. 4. European lessons for International Law: Europe is the closest the world has gotten to a laboratory for global governance. A study of cases before European tribunals may generate significant insights applicable to other regional courts and to global jurisprudence. 5. Nuclear Energy: Environmental rights are closely allied to the issue of sovereignty and human rights. If a nuclear power plant explosion crosses national boundaries, what rights do states have against actions by other states that may pose equal or greater dangers to their own citizens? 6. Law and Economy: The right to speculate and destabilize financial markets infringes on the fundamental right of other people to employment and economic livelihood. What is the legal basis of the current economy?